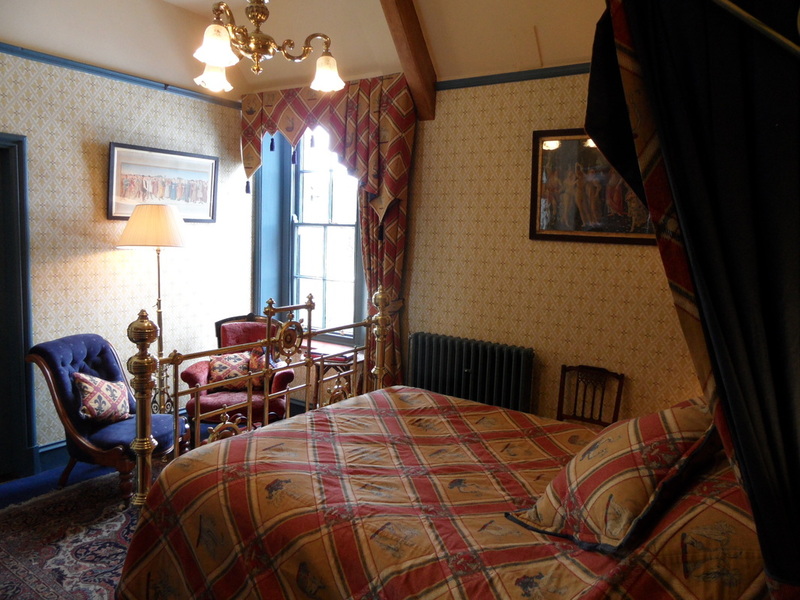 Our Gilbert Scott Room has a king size double bed with en suite bathroom. 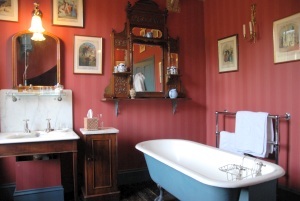 Bathe in the ball and claw foot bath in the dramatically decorated bathroom, with a blue sandstone fireplace, a porcelain blue and white toilet and a milky white marble topped basin. Climb in to the comfortable Victorian half tester brass bed. This room, with southerly views over the church, is named after the great architect who made his distinctive mark on this wonderful, unique and luxurious house. ​We provide all that is necessary for a relaxing stay including top quality towels, miniature toiletries, bathrobes, hairdryer, and free superfast wifi (for personal use). You are invited to arrive from 4pm. 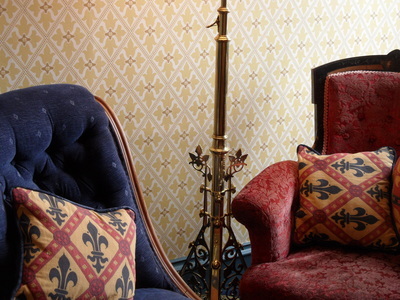 Tea and homemade scones or cake are available for guests arriving between 4-5pm. 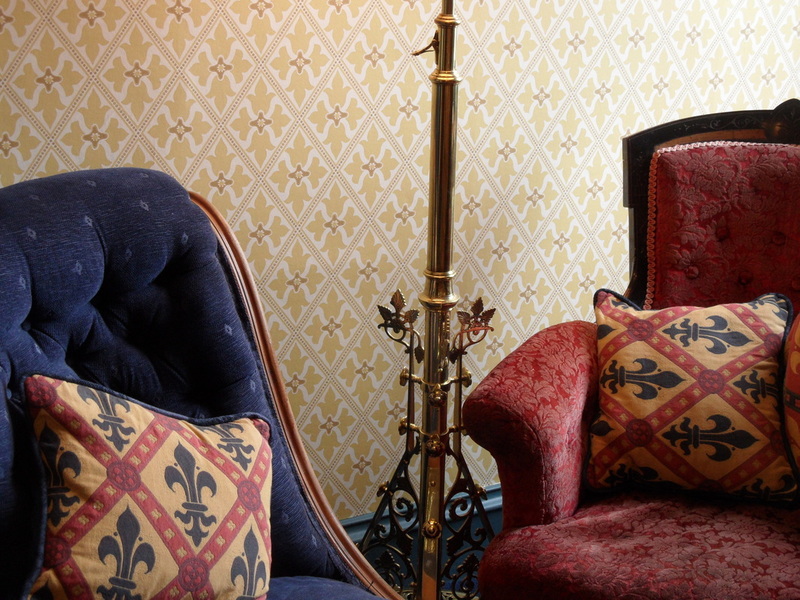 Whilst staying with us we welcome you to take advantage of our stunning victorian study and drawing room to read, simply relax, or unwind.